OK, I admit I have a pretty cool job. I run NVISIA's technology centers and get to explore the architecture and technology used by our software product innovation teams across a wide variety of clients. Lately, I have noticed a couple of architectural patterns emerge in the product modernization world. 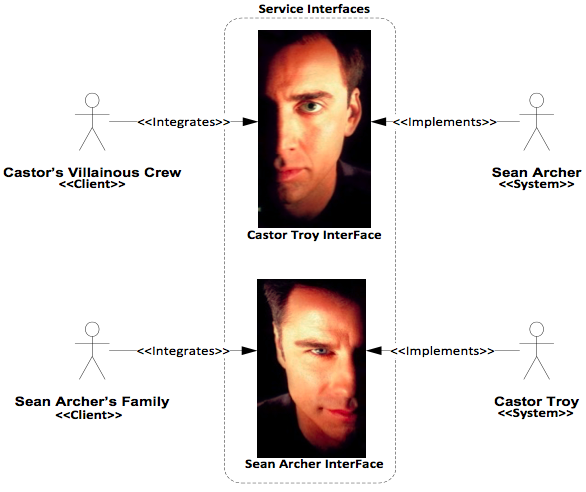 What does Service Oriented Architecture (SOA) and the 1997 movie, Face/Off have in common? If I told you Face/Off demonstrated an important aspect of SOA known as service abstraction, would you believe me? As a fan of the movie I think it’s worth reviewing as this whimsical comparison may be fun and educational. First we’ll go over some relevant information on the movie. Next we’ll review the concept of service abstraction. Finally, we’ll dig-in and derive how the movie demonstrates service abstraction and encapsulation in SOA. Background: Microservices is a newer architectural pattern for Enterprise Web Service development. One of the biggest challenges with this type of architecture is how to manage the discovery of the web services. Based on this challenge, there are several different open source options. In this article, I will share my experiences gained with two different solutions. Each of these solutions has been rolled into the Spring Cloud project making them potential candidates for the application space being targeted. Which framework is better? If you anyone has ever asked you if you prefer pizza or ice cream, you probably answered “Well… it depends”. While frustrating, this is often the correct answer when asking which software framework is “better”. So it is when comparing the Spring Framework with the capabilities provided by an EJB3 container. I have decided to start exploring this question myself, in particular the functionality where EJB3 and the various Spring modules overlap. 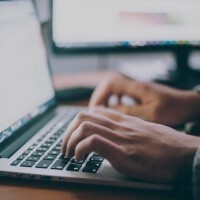 Introduction When it comes to writing software at an enterprise level, most established developers are familiar with a variety of different approaches to accessing data. In the most common case, a database houses the data that needs to be accessed. Different techniques such as result sets and object-relational mappings have typically provided effective ways to approach data access. With all of these different techniques, should a developers approach for exposing methods to access data change if the data source is not a database; such as a web service or a product API? The answer is NO; it should not matter what type of data source is being accessed if the DAO pattern is being used properly. This has been a general trend for a while now from Microsoft, even before Ballmer left, with several individual .NET frameworks being released as open source. 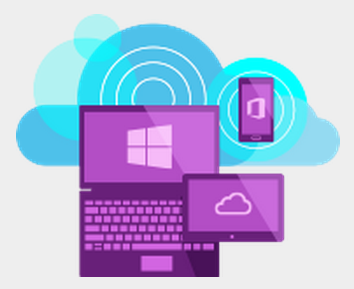 But Microsoft recently announced that they are taking the full .NET server stack open source and planning to support other platforms including Linux and Mac. Also, Visual Studio 2015 will have built in support for iOS and Android development, in partnership with Xamarin, (I don't think this will go so far as a cross platform version of Visual Studio...at least not yet). One would think that this would mean that Microsoft will be working with the Mono project to leverage the effort that project has already undertaken for other platforms (though it has long suffered from the risk of "patent bombing" from Microsoft). But it's curious that Microsoft's press release doesn't mention the Mono project, nor is there any press release on the Mono project site itself yet. I wouldn't be surprised if they make licensing of patents free on Azure but charge some fee for deployments to other platforms/clouds, which would be both a boon and bane for the Mono project. In its recent April 18, 2009 special report on health care and technology, The Economist magazine offers a nice high-level summary of both the progress and struggles that have taken place in this space, and concludes that the digitization of medical records is getting closer through health information technologies (HIT) such as electronic health records (EHRS). While the terminology in this space is still evolving, the article entitled “Hit or Miss” in this report defines EHRS as “digitized versions of all the bits of paper usually kept in files by all the doctors a patient sees regularly”, and EHRS as “all the hardware, software, and other kit needed to make sense of the data and to give remote access to them”. 'Responsibility Creep' is often seen in older systems. A component will gain responsibilities over time as new requirements arise. Often these new responsibilities will not be cohesive with the component's original responsibilities. Enterprise Content Management (ECM) is finding its way into conversations across growing organizations looking to empower business agility within their IT applications and processes. ECM, in the past has either been viewed somewhere between highly transactional document/image processing (ex: invoicing, medical claims) to a means to represent dynamic news, articles and information on websites. A new train of thought is to not just consider ECM as just a tool, but more as part of an enterprise’s strategic direction. ECM will allow the business better capabilities to react to an ever changing environment without IT interaction. Content authors can create/manage/govern their content within its own lifecycle. Applications can then consume that dynamic information and use it in any way needed. This last point sets up our topic of discussion. While ECM systems typically provide toolsets to manage and govern unstructured content, the true value comes from the ability to integrate with this system. These days, integration lends itself to SOA. Service-Oriented Architecture is a software practice where services are provided in some way, shape or form over a network-enabled protocol. Consumers can utilize these services to fulfill reusable functionality within their applications and processes. ECM plays well as part of an organization’s SOA strategy. At a high-level, applications across the enterprise can integrate with an ECM system to easily present dynamic enterprise content/information. Previously, applications would maintain “content” either statically within the application source code or dynamically within an application’s specific database. Changing content would require change requests and alignment with deployment timelines. This all changes when ECM is introduced within an organization’s SOA platform. ECM systems allow content to be reviewed and approved. Additionally, ECM provides audit trails and annotations, comments and notes as part of the content’s lifecycle. The same content can then be safely reused across the organization knowing it has been properly governed. As a business grows, the demand for audit trails and adherence to governing processes will also grow. For the average application, IT professionals strive to minimize downtime. But when it happens – as it inevitably will – the users are simply forced to wait until the system is once again available. In a clinical setting, this strategy is not acceptable. Regardless of whether the system unavailability is caused by an outage in your server or the hospital’s connectivity to it, the hospital must address the question: How will we continue to care for patients until the system comes back up? Just recently, I created a series of proof of concepts for a client that concentrated on making components of a system available across the enterprise. The route chosen for these proof of concepts was Web Services, and the SOAP stack used was Apache CXF v2.1.3. In addition to the introduction of Web Services, upgrades of several open source frameworks were also performed, most notably Spring Framework v1.2 to Spring Framework v2.5.6, and Hibernate v3.0.5 to Hibernate v3.3.1. 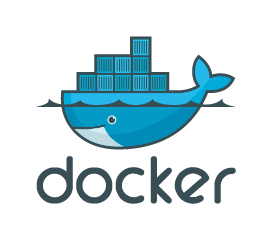 In addition, a migration from XDoclet v1.2.3 to XDoclet v2.0.6 (Codehaus) was also performed. In what at first appeared like it might be an April Fools joke, Microsoft announced that they have open sourced their ASP.NET MVC api. This was great news for the open source Mono project on multiple fronts. When Groovy 1.6 and Grails 1.1 were released, I blogged about how I was excited by Grape and by being able to use GORM outside of Grails. And so I started playing around with the idea of tying that all together, especially when I saw that you could easily use Grape to pull in Jetty. Mozilla recently threw another log onto the web based IDE fire with it’s recent Bespin announcement. And InfoQ followed that up with a “Web-based IDEs to become mainstream?” post that mirrors some of my previous thoughts on the matter. While I covered a number of the benefits of web IDEs in my previous post, we should also consider what some of the drawbacks of this approach might be. I’ve posted in the past about how I fully expect for IDEs to move from locally installed tools like Eclipse, IDEA, NetBeans, etc, to web based solutions that don’t require any installation. Ruby on Rails has generated significant buzz within the industry. However, for a large number of our clients this represents an unusual challenge because Ruby and Rails don’t necessarily integrate well with their significant existing investments in Java code/frameworks and they require new skill sets and training for their existing staff. Groovy and Grails have emerged as competitors to Ruby and Rails that tightly embrace the Java language and platform. For example, while Grails copies many ideas from Rails, it does so by leveraging existing frameworks such as Spring and Hibernate to achieve this. As you probably know, the companies that “run the web” (e.g. Google, Yahoo, Amazon, eBay, etc.) generally don’t use the “big iron” mainframe infrastructures used by many of our clients, but instead focus on using LOTS of cheap commodity boxes (e.g. Google had ~450,000 in 2006). Yahoo has an interesting article discussing an open source effort, (Hadoop), to implement one of the pieces of infrastructure that these companies typically use (and have built custom internally). Essentially, Hadoop is an open source software platform that lets applications process huge amounts of information within large clusters, and it’s already being used/taught/researched in some colleges. Technically, it’s an implementation of MapReduce, which is one of Google’s internal framework.